The Viking landers in the 1970s (image from Viking 2 shown) performed the only extensive search for life on Mars to date. But were they looking for the wrong thing? NASA. It is looking increasing unlikely that we are alone in the universe, but our current theories for extraterrestrial life are based on one key condition: It will probably be similar to that on Earth, which is reasonable to assume, as it’s the only type of life we know to exist. But what if it can exist beyond these limitations? That’s what one team of researchers has been looking into. Their paper, “The Physical, Chemical and Physiological Limits of Life,” is published in the journal Life. In particular, they speculated what kind of alien organisms might be able to survive on Mars and Saturn’s moon Titan, and came to the conclusion that there could be "life, but not as we know it," to use the infamously misquoted phrase from Star Trek. In the research, they discussed how, while life on Earth has a unique biochemical toolset, life on Mars or even Titan could survive with a few adaptations. On Earth, for the most part it requires oxygen, nitrogen and other key ingredients to survive, in addition to storing information via DNA and RNA, which is why we look for these things on other worlds. But that might not be the case everywhere. One example is that a water-hydrogen peroxide mixture, rather than water, could be used in the cells of small microorganisms on Mars, whereas those on Titan could use liquid methane or ethane. Some other chemical process aside from DNA could store information as well. "We only have one type of life as we know it," lead author Dirk Schulze-Makuch from Washington State University told IFLScience. "But there’s a whole range of adaptation that we see in different areas, and that could apply to other places." If there is life elsewhere in the Solar System, don’t expect anything too big. On Mars, Schulze-Makuch says the limited source of food – namely organics – means that nothing larger than a tardigrade could feasibly survive. On Titan, the extremely cold temperatures, and thus a reduction in the amount of energy available, could be a limiting factor. Titan is pictured here in front of Saturn by Cassini. NASA Jet Propulsion Laboratory. Actually detecting extraterrestrial life in the Solar System will be a challenge, too. It is likely that a robotic lander on Mars or Titan would need a suite of experiments designed to detect different kinds of life, and even then we might not know what we’re looking for. But Schulze-Makuch is optimistic that there’s something out there. "I would be very surprised if there’s no life on Mars," he said, adding that he was "nearly sure" it was there a few billion years ago when Mars had oceans, and is possibly still there today. 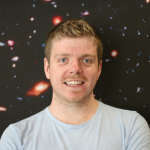 "The only questions is if it’s a common origin to Earth or a separate origin," he said. But he says that finding life on Titan would be more important. That&apos;s because Mars is, comparatively speaking, rather like our planet. "[In the past] it was, in a way, a bit like a colder version of Earth," he said. "Now Titan, that’s a different story, because its environmental conditions are so different. If there is life there, it would have to have a separate origin." And that’s possibly more important in answering whether life is abundant in the universe. 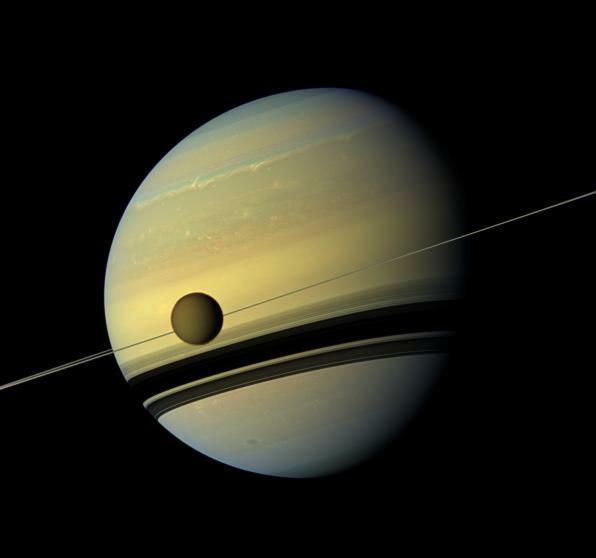 "If you find life on Titan, then life can originate in different conditions, and is much more diverse than we probably ever expected," said Schulze-Makuch. If there is life on Titan, it would mean that many more planets in the galaxy and beyond could have life than we thought. "And some [could have] intelligent life," Schulze-Makuch concluded.